Are you a spouse or partner of someone with dementia who has moved into residential care? Deborah Brooks from the Dementia Centre for Research Collaboration, Queensland University of Technology (QUT) is carrying out a Dementia Australia Research Foundation consumer priority PhD study into improving support to spouses and partners of residents with dementia. She would like to hold group or individual discussions with spouses and partners of residents with dementia to find out more about their experiences of moving a relative into long term care, the impact this has on them, the coping strategies they use and the support they need. Group and individual discussions will be held in towns and suburbs within driving distance of Brisbane and will last approximately 60-90 minutes. Travel/parking expenses and refreshments can be made available. This project has been approved by the QUT Human Research Ethics Committee (approval number 1700000529). Are you interested in participating in a Research project around the impacts of older adults outlook on life and sense of control in life on their emotional well-being. If so a student from Adelaide University is conducting a study around this topic. 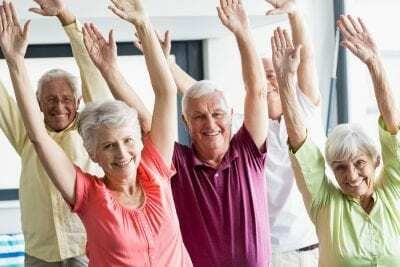 It is hoped that findings from the study will highlight the role of intervention strategies to improve the emotional well-being of older adults within the community.